Boxer ES Collection Bisanzio UN211. 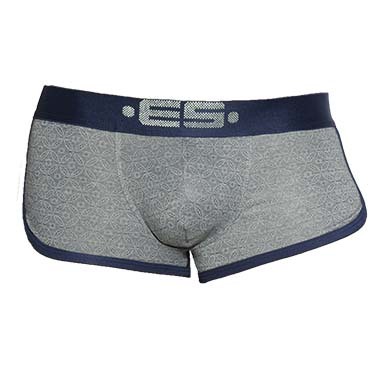 Boxer low waist ultra comfortable. Its wide navy blue belt allows an excellent support. Front of the gray Boxers: a perfect match with the navy blue. Blue stitched seams. A perfect pair to wear during the day, at work or in the evening! 95% Modal, 5% Elastane.